You know Grid Systems' Grid Compass 1101 laptop, right? You should. The laptop you're using, the laptop you own, and the laptop you want all imitate its design. Why? 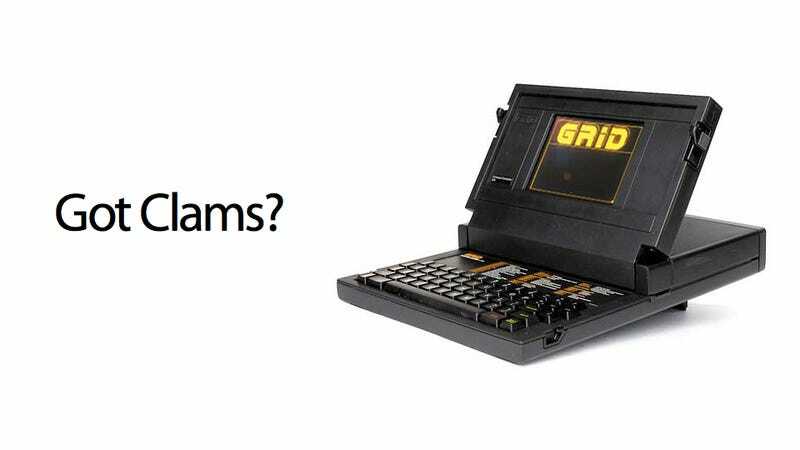 The Grid Compass, from April, 1982, was the first clamshell laptop ever created. Moggridge's design made for a far more portable computer than the Osborne [the sewing machine computer]. It let the user angle the screen to his or her preference. The backside of the display protected both the screen and the keyboard when the machine wasn't in use. And unlike numerous mobile-computer cases to come, it was mechanically simple. It's one of the most clever pieces of engineering in computing history.